Hi, everyone. 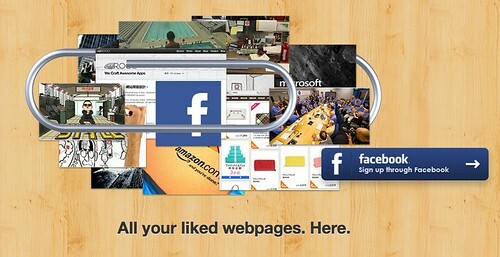 I am happy to announce the new service I recently built at 2012 Facebook World Hack Taipei : 「Paperclip.io」. Not only won the “Best Overall” prize in Taipei. We also win the Grand Prize of World Hack . The Paperclip.io team, from Taipei. Paperclip.io indexes and sorts the things you've liked on Facebook and across the web, so you can easily browse your likes by category or by the date you liked them. The Chained Story team, from Buenos Aires. Chained Story is a web version of a storytelling game in which players take turns adding a sentence or paragraph to a story. The completed story can be published to a user's timeline. The BoostMate team, from Moscow. BoostMate analyzes your social graph and the connections you have with all your friends, producing a ranking of who you're closest to, who you interact with least, and whether those interactions were positive.